This website supports all efforts towards missionary ministry among the Coptic Orthodox in the UK. 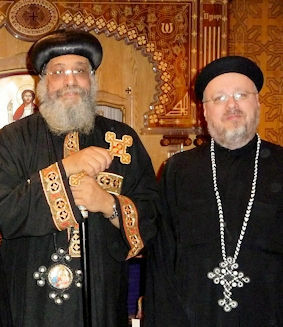 It is particularly intended to describe and promote the Coptic Orthodox missionary work in Stoke, Swindon and Windsor being served by Father Peter Farrington, a priest of the Patriarchal Diocese within the Coptic Orthodox Church. If you are interested in finding out more about Orthodoxy, or would like to attend some of our events and services, or if you would like to help us, or have any questions at all then do not hesitate to send us a message.